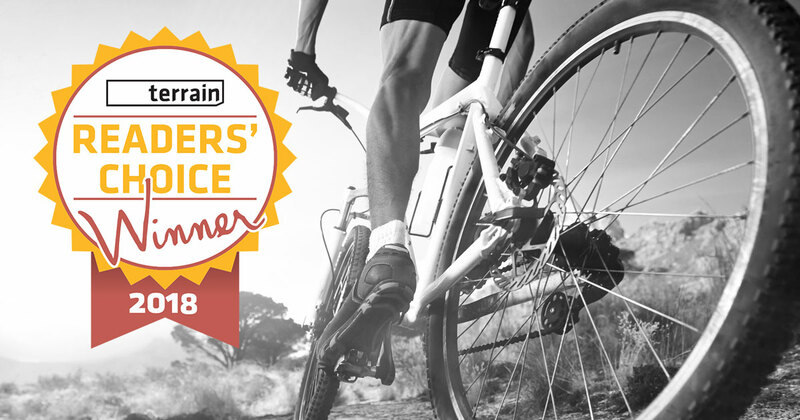 With nearly 29,000 votes tallied, the Terrain Magazine Readers' Choice Awards are out. GORC received 2nd place in the Favorite Outdoor Non-Profit Category and 1st place for Favorite Mountain Biking Event. We are honored that the region's outdoor enthusiasts chose us for these awards. Make sure you pick up a copy of Terrain Magazine to see the full list. If you are a new or current paid GORC member, as a perk Terrain Magazine is mailed out to your house free!